The Ivory Coast is the world’s largest producer and exporter of cocoa beans used in the manufacturing of chocolate. As of 2009 they supplied approximately 30% of the cocoa produced in the world [source]. Yet many of the cocoa farmers have never tasted the end result of their labour as a bar of chocolate is far too expensive for the average farmer to afford. 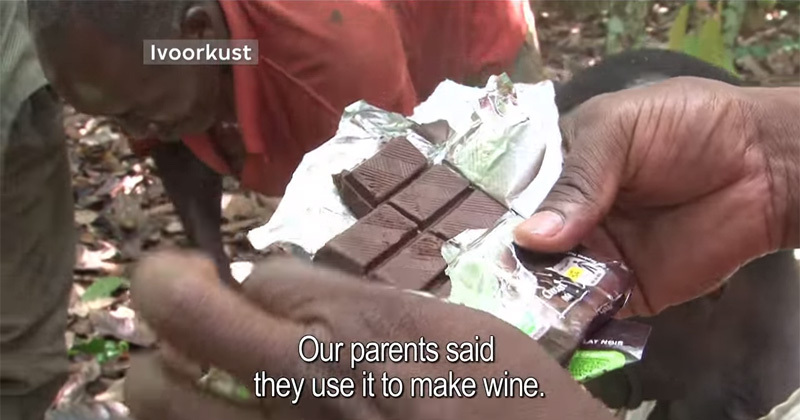 In this video we see a number of cocoa farmers tasting chocolate for their very first time.